What does IJDACR mean in Research? 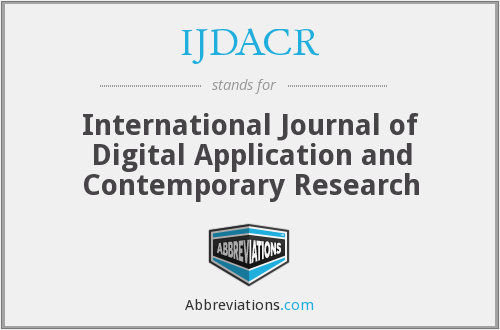 This page is about the meanings of the acronym/abbreviation/shorthand IJDACR in the Academic & Science field in general and in the Research terminology in particular. IJDACR is an online, peer-reviewed, fully refereed, open access scholarly, interdisciplinary, monthly journal. "IJDACR." Abbreviations.com. STANDS4 LLC, 2019. Web. 24 Apr. 2019. <https://www.abbreviations.com/term/1723556>.